In one of his last duties as Project Manager, Ray Tovey attended Ferndown Golf Club on Wednesday 11th April with Roy Osborough, Chairman for the annual charity event at which presentations are made to local groups. Funds are raised by the clubs members though the generous support of golfers participating at the Peter Alliss Invitational in the past year, together with a dinner and charity auction. 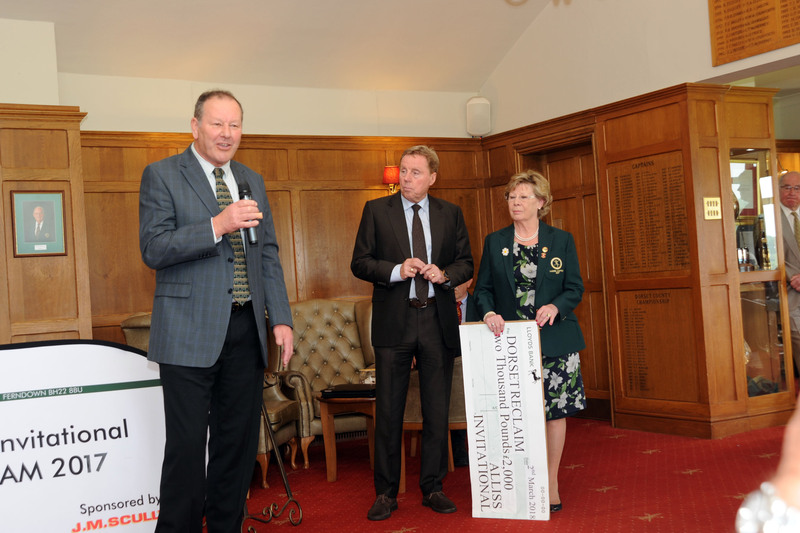 Dorset Reclaim was fortunate to be one of the Ferndown Captain’s nominated charities and received a cheque for £2,000. The monies will go to creating covered work spaces in the yards at both Bournemouth & Poole depots to ensure there is a dry area for our volunteers to work in throughout the year.